LEASE A 2018 CHARGER SXT PLUS RWD FOR $212 per month for 39 months. 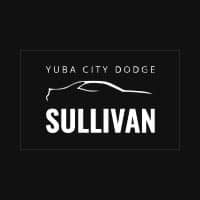 Low-mileage lease for well qualified current lessees of a competitive brand vehicle (Non-FCA US LLC). Must show proof of ownership. Based on MSRP example of $33,185.00 with 29H package after all applicable offers. Total due at lease signing includes a down payment and first month’s payment. Offer requires dealer contribution. Tax, title & license extra. Lessee pays for excess wear and mileage of $.25/mile ($0.50/mile for SRT models) for each mile over 10,000 miles per year, if vehicle is returned at end of term. Option to buy at lease end at pre-negotiated price. Dealer’s actual terms may vary. Offer through Chrysler Capital. Residency restrictions apply. Must take retail delivery by 01/02/2019. $395 disposition fee due at lease end. Performance is more than just a word. It’s the rumble of the engine. The grip of the road. The efficiency found in each mile. Performance is the driving force of the Dodge Charger. The flying buttress style of the rear roof pillars provides added aerodynamic stability to the Dodge Charger at higher speeds. The seamless design of the racetrack taillamp tells the world you’re ready for action. Always drive carefully, consistent with conditions. Always wear your seat belt and obey posted speed limits. The steering wheel on the Dodge Charger has loads of convenient features that help make every ride more thrilling. Style, comfort and technology are at the forefront of the Dodge Charger. The aluminum-lithograph instrument panel bezel forged in one-piece construction highlights cutting-edge features like the 7-inch customizable Driver Information Digital Cluster Display and available 8.4-inch touchscreen. The massive 7-inch display gives you instant information on performance, available Navigation and vehicle status. Plus, you can easily customize the display with steering wheel-mounted controls. A tap of the foot, a touch of the finger. You can start the engine by stepping on the brake pedal and pressing the Start/Stop button. The available Uconnect® 4C system includes voice recognition and available Dodge Performance Pages. The TorqueFlite® eight-speed automatic transmission has a fully electronic shifter that looks and feels like a traditional linkage shifter. SPACE ALL OVER THE PLACE: With an abundance of trunk and interior space, you’ll have ample room for passengers, cargo and most importantly, yourself. FOLD AND FILL: Whether you’re hauling passengers or gear, the 60/40 split-folding rear seatbacks fold down individually for the right amount of space. MORE ROOM FOR MORE PASSENGERS: What does 104.7 cubic feet of interior space translate to? How about generously comfortable seating for five. PACK UP THE BACK: Bring life along for the ride. Carry up to 16.5 cubic feet of just about anything in the trunk of the Dodge Charger. The Dodge Charger is chock-full of features that pack a powerful punch in the tech department. Knowledge is power, and you’ve got both with the Class-Exclusive 7-inch reconfigurable Driver Information Digital Cluster Display*1 that helps keep you in the loop with key vehicle information. Available Adaptive Cruise Control with Stop*2 automatically adjusts your vehicle’s cruising speed to help maintain your set distance from the vehicle in front of you using throttle control and limited braking. Keyless Enter ’n Go&reade; allows you to unlock the doors by pulling a front door handle, as long as the key fob is on you. Once inside, press the Start/Stop button while stepping on the brake to start the engine. *1: Based on the 2016 WardsAuto Large Regular Car Segment. Excludes other FCA US LLC vehicles. *2: This system is a driver’s convenience system, not a substitute for active driver involvement. The driver must remain aware of traffic conditions and be prepared to use the brakes to avoid collisions. The Dodge Charger comes loaded with features that let you stay connected while you burn rubber. MEDIA HUB: Sync up, then turn it up. With features like a USB port and an auxiliary input jack, the media hub is designed to sync all of your media files with the touchscreen. For supported audio file formats, refer to the USB Port section of the owners manual on the DVD. Pump up the volume on sinister speakers. The available BeatsAudio™ Premium Sound System includes 10 amplified speakers, a 12-channel 552-watt amplifier and an 8-inch trunk mounted dual-voice coil subwoofer with a sealed enclosure. We’ll watch your back. The standard ParkView® Rear Back Up Camera displays the area behind your vehicle when you shift into reverse. The standard ParkSense® Rear Park Assist System alerts you of objects behind your vehicle when you’re moving in reverse. Always check entire surroundings visually before backing up. *1: This system is an alert system for the front of the vehicle. It is not a substitute for active driver involvement. The driver must remain aware of traffic conditions and be prepared to use brakes to avoid collisions. *2: This system is a driver’s convenience system, not a substitute for active driver involvement. The driver must remain aware of traffic conditions and maintain control of the vehicle. *3: Always check entire surroundings visually before changing lanes. 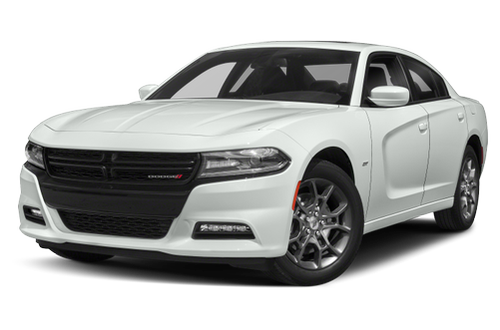 With the 3.6L Pentastar® V6 engine, 18.5-gallon fuel tank and TorqueFlite® eight-speed automatic transmission, the Dodge Charger delivers up to 30 highway mpg and either 292 horsepower or available 300 horsepower. So grab your energy drink and go. Based on the 2016 WardsAuto Large Regular Car Segment. Excludes other FCA US LLC vehicles. EPA estimated 30 hwy mpg with 3.6L engine and eight-speed automatic transmission, RWD. Actual mileage may vary. Horsepower rating only with Rallye Group. The smooth-shifting TorqueFlite® eight-speed automatic transmission takes advantage of variable line pressure to help provide a fuel economy rating of up to 30 highway mpg with the 3.6L Pentastar® V6 engine. EPA estimated 30 hwy mpg with 3.6L engine and eight-speed automatic transmission, RWD Actual mileage may vary.